It's been a grey, wet, and still miserably cold day, in Leicester so I bought a new cook book. I'm currently reading the new Molly Keane biography, and one detail that really stood out was how much Molly and her hunting friends looked forward to winter, and how the rest of the year revolved around being ready for the hunting season and the racing calander. Foxes everywhere are quite safe from me, I regard horses as being dangerous at both ends, unpredictable in the middle, and best avoided, but I do love this time of year. The dark nights and cold gloomy days stop me minding that I don't have a garden. I like the slack pace of January, the way it dawdles along until I feel like I've caught up with myself. The slow stretching of daylight hours is uplifting, and if I'm going to be broke it's as well that it's at a time when I have a flat full of new books to read and no particular desire to be out in the cold, wet, and grey. It's also the best season for citrus fruits and I love those to the point of obsession. So far this month I've come home with Seville oranges, a lot of blood oranges, lemons, and bergamots. Tomorrow I'm going to get some sorrento lemons whilst they too are around. It's blood oranges that I'm really crazy for, I love the zingy intensity of their flavour, and the range of jewel bright colours. A book on citrus fruits was always going to be an easy sell to me, but even if I wasn't such an enthusiast the glowing orange gold colour would have attracted me (pictures don't do it justice, it feels like some sort of fabric, will probably get dirty far to quickly, and is gorgeous). Now that I've well and truly run out of shelf space a new cookbook has to strike me as something special to make it across the threshold. 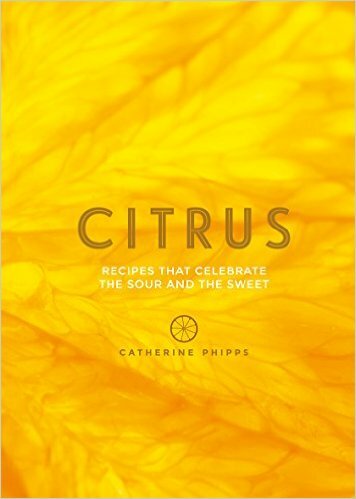 'Citrus' does that by taking a group of ingredients I love and suggesting all sorts of ways to use them (which is a lot easier than trawling through a couple of dozen books to find inspiration). Seville oranges are a case in point, they have a relativley short season and all I ever use them for is marmalade. One batch of marmalade is more than enough to see me through the year, but one box of sevilles doesn't seem like quite enough to come home with. Catherine Phipps takes the view that using them only for marmalade is almost a crime - I'm looking forward to having the particular horizon broadened. Bergamots are another good example - they don't get a lot of recipes (only 2, I think) but maybe more to the point there's good advice on how to use them - it turns out there's a wrong way to juice citrus; too much pressure (or over squeezing/juicing) releases the bitterness from the pith. The bergamot and lemon chicken sounds excellent, the perfect incentive to get a few more bergamots whilst they're available (they smell so good) and make the most of them. The chicken, chard, and giant couscous soup with lemon (or lime) zest is a useful reminder to use up the left overs (instead of shamefacedly ditching them after a few days to long in the fridge). There is a brilliant cheats version for preserved lemons (or any other citrus) which I think is going to be very useful, a chapter on small plates which all made my mouth water, some cinnamon and orange buns that remind me it's been far to long since I last made cinnamon buns... the list goes on. There are things here that are new to me, and things which are a citrusy twist on old favourites, everything looks good, and despite the weather outside my day has been immeasurably brightened. I bought a stack of Christmas themed murder mysteries this year with high hopes that I'd get time to read them. I still have a stack of Christmas themed murder mysteries to get through, and whilst it's certainly been cold and miserable enough the last few days to put me in a murderous state of mind I've been too busy at work to pursue that line of thought. 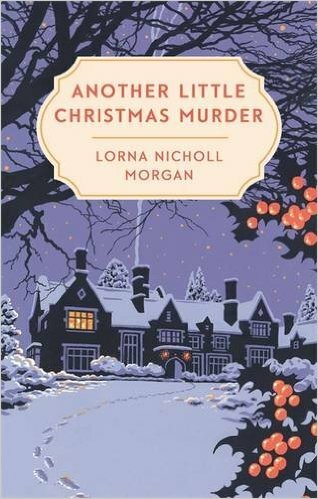 I did manage to read 'Another Little Christmas Murder' though and it was generally entirely satisfactory. 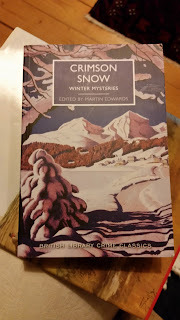 Originally published in 1947, but with a distinctly pre war feel to it (there's plenty of food and petrol for a start) there's an independent sort of heroine (she travels in patent medicines), and a suitably rugged hero who turns up to rescue her when her car gets stuck in a snowdrift on the edge of a precipice somewhere in Yorkshire. There's a handy blizzard in progress so he invited her to come with him to his uncles house. Upon arrival the warm welcome is notably absent, there's a new young wife in residence and uncle is apparently on his deathbed. The snow keeps on driving stray travellers to take refuge in Wintry Wold, which would be trying for any hostess, never mind the suspicious new wife. In the night our heroine, Dilys, finds herself in the uncles bedroom having a perfectly sensible chat with him, but he does seem to urgently want to see his nephew, Inigo (our hero) so she's more than surprised when his death is announced in the morning. 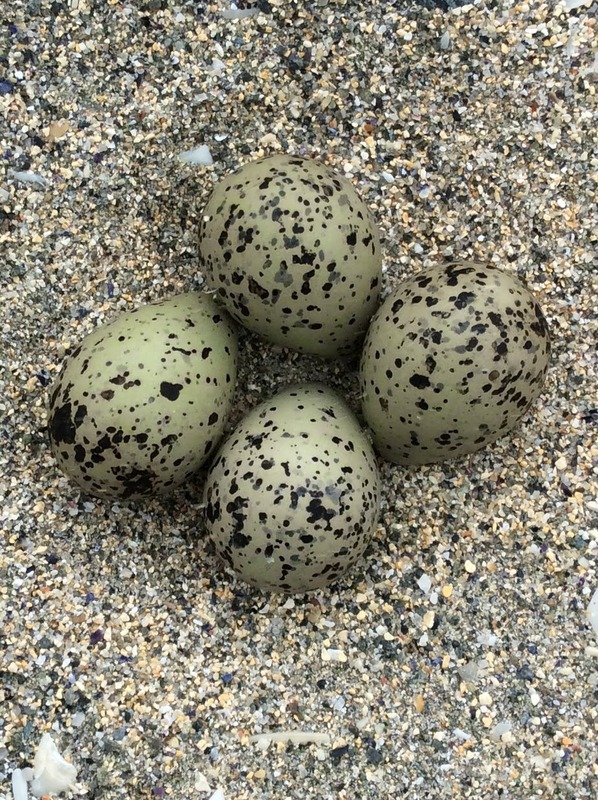 Foul play is naturally suspected, and suspicions are vindicated. It's not a book that takes itself particularly seriously, the culprits are easy to spot (even if the motive turns out to be slightly surprising) but not in a bad way, there are some satisfyingly catty exchanges between Dilys, and aunt Theresa, and really the only thing that jarred was Inigo's eventual demand/assumption that Dilys give up her job in favour of being his wife. She doesn't seem to mind, but I think I expected more of Dilys than that she would meekly head off into the sunset in such a way. That's only a very small quibble though, and I'd pick up another Lorna Nichols Morgan with interest if I ever get the chance. I found things to do with the bergamots (all apart from 1 which went mushy before I got the chance to deal with it). Two went to new homes to be used in gin and tonics (the effect is subtle but pleasing and highly recommended). Two more went into marmalade (the recipe promises that after you reach boiling point it should take about 10 minutes to reach setting point. It doesn't, it takes what feels like an eternity, but was in fact a good hour). They're as bitter as Sarah Randell's book 'Marmalade' told me they would be, but two along with a kilo of Seville oranges has worked well. It's a little more bitter than my usual marmalade but none the worse for that and I'm pleased with the results. Any more would be to much. Four went into making a curd which was enough to yield three and a half small jars, which is plenty because it doesn't keep for long. I've had bad luck with curds in the past. My first attempt at lemon curd (late one night after a shift waitressing because a guest wanted it for breakfast) was a disaster because the recipe (Sophie Grigson, and I've looked askance at her books ever since) in what I hope was a miss print, omitted the lemon juice from the lemon curd. I didn't know any better. Since than (thanks to Claire MacDonald and her lemon curd pavlova) lemon curd hasn't presented a problem - even if it's a bit of a bore to make. 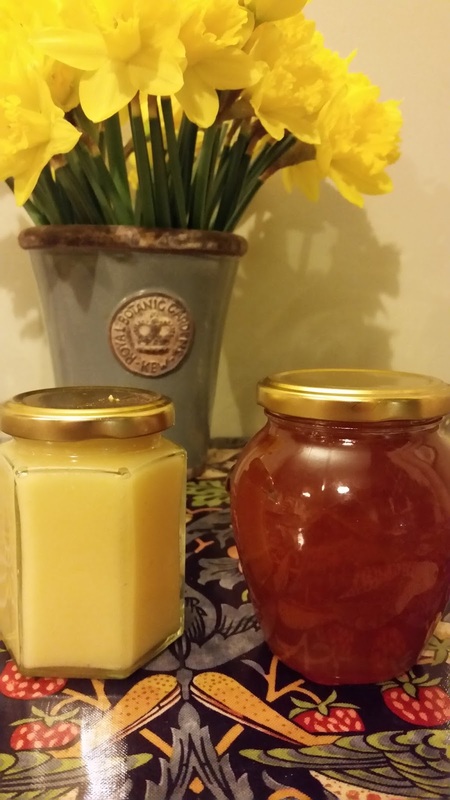 I've tried, and disliked, orange curd, and once made an apple curd which again I really disliked. The good news is that bergamots make a great curd. It's a lot like a lemon one, but with an aroma and flavour that suggests something like sherbet. The extra bitterness is discernible, but welcome, and when I took the half jar to work and made people try it the result was really positive (words like delicious were thrown around). It's different enough from anything you can buy to make it worth the effort of making too. The recipe is basically the one from Ocado's website but uses the JUICE (turns out this matters, 23 years, I haven't forgotten) and zest of 4 bergamots (the original uses 2, along with 2 Amalfie lemons) 250g of granulated sugar, 100g of butter, 3 eggs and a 4th egg yolk. Heat the butter, sugar, juice and zest until butter and sugar have melted, but don't allow to get to hot. Whisk the eggs and extra yolk together, and add to the mix whisking all the time (now us not the moment to get a sweet citrusy take on scrambled eggs, which is why the temperature shouldn't be to hot), carry on whisking until the mixture thickens to something your happy potting. Pot - in sterilised jars. Opinion about how long it keeps seems to range from a few days to 4 weeks. I'm hoping 4 weeks. 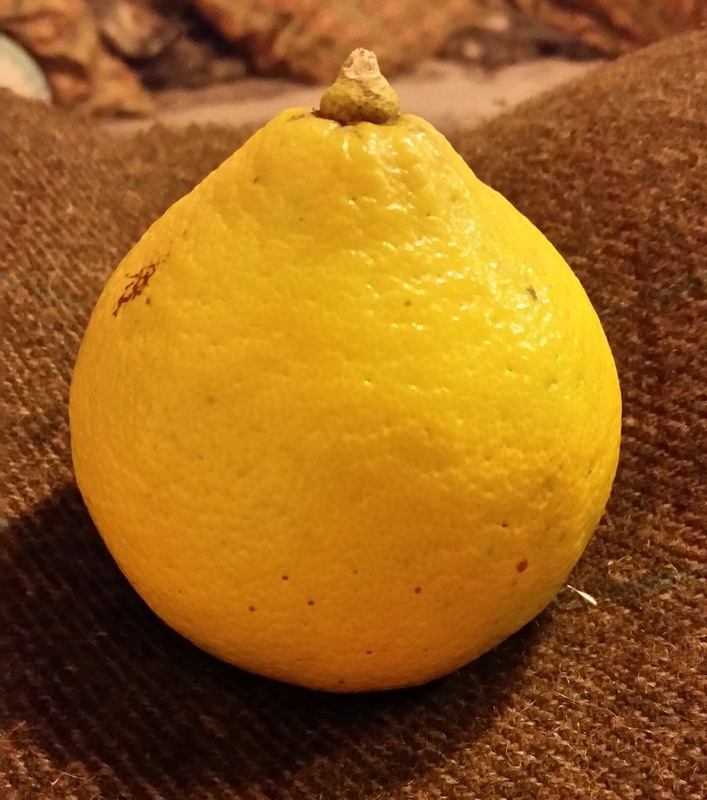 That leaves me with one lone bergamot, it's destined for more gin and tonics. The final verdict is that they're well worth playing with if you can get your hands on some. I thought 'Crimson Snow' had better get written about first, and whilst it's still wintery enough outside to compliment them. I know I say this every time, but I really, really, love the short story collections from the British Library classics collections and this one more than lived up to the high expectations I had for it. What makes this collection stand out is a slightly darker tone that creeps in from time to time. I like golden age murders mysteries precisely because the emphasis is on the mystery rather than the murder, and because the victims conveniently tend to be the sort of people we would generally be better off without. 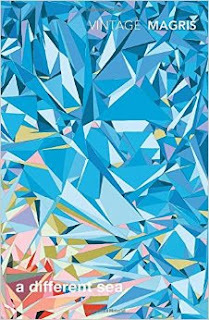 Ianthe Jerrold's 'Off the Tiles' quietly suggests that murder is a messy business, apt to go wrong, and generally a very bad idea. Josaphine Bell's 'The Carol Singers' takes it a step further with the victim, an elderly woman at home alone, subjected to a horrifying ordeal. The end of that story veers off into something unexpected (and quite gruesome), it ends this collection, and as a last word it's hard to top. Victor Gunn's 'Death in December' is a more traditional romp in a snowbound country house, it has the hint of a ghost story about it with bodies going missing and bumps in the night, which being almost novella length makes for an excellent centrepiece to the collection. Otherwise almost everything had a slightly unexpected (to me at least) element and it was good to be kept guessing, not least because it bodes well for the future of the series. Ever since I first flipped through Sarah Randell's 'Marmalade' I've wanted to get my hands on some bergamots and only 3 years later I've finally realised that ambition. Leicestershire isn't the easiest place to source the more exotic citrus fruits. Finding blood oranges is an annual challenge - Waitrose sells them, though they call them blush oranges which seems positively Victorian in its desire to spare the customers delicate sensibilities (have squeamish shoppers swooned at the very mention of blood?) but I can't find them anywhere else. It's not always easy to find Seville oranges either, though thankfully that's changing. It was whilst hunting for blood oranges that I got the promise of bergamots - the blood oranges aren't available yet but, and bless Waitrose for this, bergamots apparently are. They had to be ordered specially, so on the strict understanding that I was a serious buyer and not just teasing the fruit and veg specialist with empty promises - and now I'm the proud owner of 10 of them. They cost a pound each and I have no particular idea what to do with them, but they're a cheery yellow colour and smell fabulous. Having got my prize home I thought I ought to do some research - it turns out that bergamots are the love child of bitter oranges and lemons, they come from Calabria, and obviously go into Earl Grey tea. It also seems that the things that the French call bergamots are specifically a sort of sweet lemon, not a bergamot as the Calabrians would recognise it, in terms of recipes this is probably important. Sarah Randell adds bergamot juice to lemons to make a marmalade, but says she was told, and her experiments confirmed, that they are too bitter to make marmalade from just on their own. Some of mine will definitely go into a marmalade, a lemon and bergamot curd is also looking like an option. Digging around I've found a recipes for syrups (fine in principle, but in practice do you know anyone who ever uses these things? ), a drizzle cake (much more promising), and I understand they make an excellent garnish for a gin and tonic. I assume they will freeze much like Seville oranges, but for now even if I don't use all of them I'm so excited to have finally acquired some I'm happy. 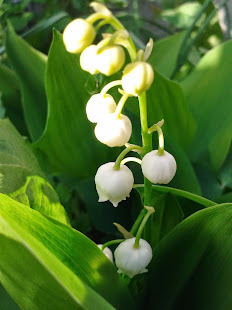 Even more so because the scent of them is making them far better value than flowers would have been. Any suggestions or recommendations as to what else they can be used for would be gratefully received. I'm feeling somewhat overwhelmed by the number of books, both read and unread, in my flat at the moment. There's a pile of them waiting to be written up too, and I ought to hoover, and clean the good candlesticks ahead of a grown up lunch tomorrow (or maybe I'll just stick them somewhere out the way) but all I really want to do tonight is crack in with a knitting project I've just started. There's also the traditional top ten list of last years reading to think about, something I like doing because it's both enjoyable and sort of useful (though the useful part really only applies to myself) to look back at the last 12 months reading. The first book to talk about is 'Arboreal: A Collection of New Woodland Writing' edited by Adrian Cooper, and published by Little Toller. I haven't written about it properly here yet, but it's an exceptional book. Both a thing of beauty, and full of ideas to explore. There are over 40 chapters, each offering a lot to think about, so I've been taking my time reading through this one - basically I can't recommend it highly enough, or come close to over selling it. Also from Little Toller (and embarrassingly, one of only a very small handful of last years Christmas books I managed to read) was Sophie Kingshill's 'Mermaids'. This is one of Little Toller's series of monographs, they're the perfect pocket size, and for short books cram a lot in. This was the first in the series I read, and it made me want the lot (I really, really, need more space for books and more time for reading them). 2016 also felt like a really strong year for cookbooks (I think I say that every year, but even so...) highlights include Diana Henry's 'Simple', Gill Meller's 'Gather', Zuza Zak's 'Polska' and 'Samerkand'. The cookbook I'm most enthusiastic about though is Regula Ysewijn's 'Pride and Pudding'. It's because it's far more than a cookbook, and I found the combination of history, recipes, ceramics, gorgeous photography, and artwork, irrisistable. I'm also particularly enthusiastic about 'Classic German Baking'. I'd wanted a book on German baking for such a long time, and this one didn't disappoint. There's such a range of things in it, but the sunken Apple cake alone is worth the cover price. It's partly sentiment - my grandmother was German, and although we've weren't close and I don't ever remember her baking, it still feels like I'm exploring a part of my heritage. I need all honesty though, it may be that my enthusiasm has a lot to do with a deep love of Apple cake. The British Library Crime Classics continue to be a delight, They're impeccably packaged and are always entertaining. I have a stack of them to read and am wholeheartedly looking forward to it. I particularly enjoyed 'Lost in a Pyramid' though which is a diversion away from crime. Lost in a Pyramid initially appealed because it sounded (over used word) fun, and it is, but there's much more to it than that. Mikhail Lermontov's 'A Hero of our Time' was an unexpected joy, and has encouraged me to tackle more Russian literature - or at least not to automatically avoid it. Blessedly short, and bleakly funny in places, it was a gem. Also in translation, and this time overcoming a general prejudice against, well- not so much the French, as francophiles, was Frederic Dard's 'Bird in a Cage'. A little slice of French Noir with what I think is the best twist I've yet read. I have more Dard to read and a more really looking forward to it. 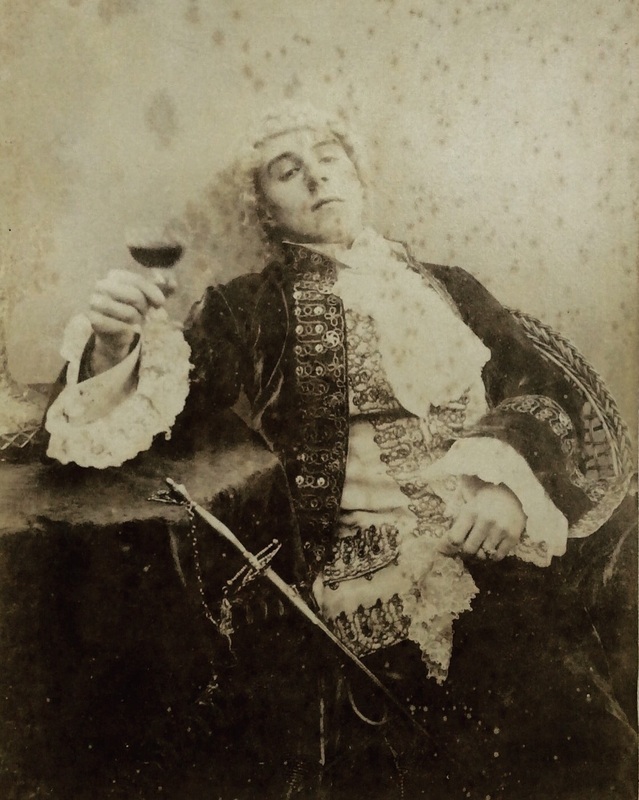 For all round over the top gothic nonsense it's hard to choose between Wilkie Collins 'Jezabel's Daughter' - not his best work, but still with a lot to recommend it, there's a sympathetic villain (I sympathised with her anyway) and a cracking episode that takes place at night in a morgue, and W. Somerset Maugham's 'The Magician'. On balance 'The Magician' would win for all out craziness, it's also an entertaining book to read, and an interesting historical curiosity for Maugham's take on Crowley. Finally I'm choosing Susan Pleydell's 'The Road to the Harbour'. It's currently in print thanks to Grey Ladies and I found it thoroughly enjoyable. It's sort of a spy thriller, but more about the consequences that our own and other people should actions can have on us. What made it special was the way Pleydell really made me care about her heroine, and how real she made what was, in the end, quite an unlikely predicament, seem. Around 15 years ago I had a friend who was working as a tour guide (I still have the friend but her job, most inconviently, has changed) in various European cities. Most of the tours were coach based, and if there was a spare seat on the coach she could take someone along with her for next to no money at all. The job I had at the time wasn't very well paid but the hours were flexible, and the exchange rate was good so whenever she offered me the chance I'd go - which is how I fell in love with Belgium. I know one trip was in November because we were in Ypres on armistice day (cold and overwhelming) but I feel like I saw Bruxelles in the spring, though maybe that's just the effect it had on me. I don't know why I had such low expectations now, but whatever I'd been thinking was totally wrong. Of all the places I've ever been, Bruxelles is quite possibly my favourite (though Islay could be a contender for that title). It had stunning architecture, good food, great chocolate and beer, and a beguiling cafe culture - and as I write this I'm wondering why it's been so long since I was last there. 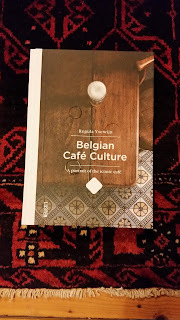 Fittingly it was the ex tour guide friend who took the hint and got me Regula Ysewijn's 'Belgian Café Culture' (though I suppose really I should have got it for her as a mark of appreciation for those trips) not least because we drank in some of the cafés featured. Primarily I wanted this book because I'm a huge fan of Ysewijn's photography - anything with her name on it is going to be worth a look (Pride and Pudding was a highlight of last year and is a book treasure), that I was already interested in the subject is a bonus. It's easy to take traditional institutions for granted to the point that we hardly notice how fragile they've become, and sadly this seems to be the case with Belgium's cafés. Some change is inevitable, and probably healthy, but there's a real danger of losing something precious through apathy and thoughtlessness (village pubs and shops in the U.K. are going the same way) so Ysewijn's project to record some of these places is timely. I've had a really lovely week in the Scottish Borders (complete with a day in Edinburgh) and now I'm back at home - and back within reach of a wifi signal. 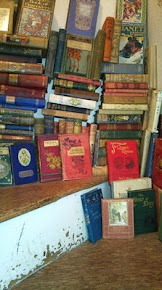 I took 5 books away with me, was given a sixth, and bought two more, I failed to read any of them. 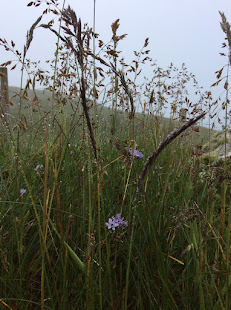 I was also given two more bottles of gin (Shetland Reel Holly days, and a home made damson) and bought another one (Rock Rose winter edition) - I've not drunk any of those either - but we did drink plenty of other gins so that was understandable. 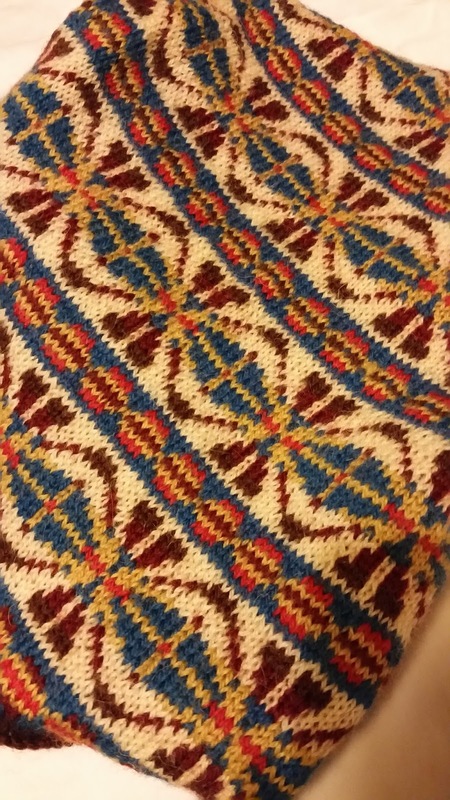 What I have been doing is thinking about knitting. 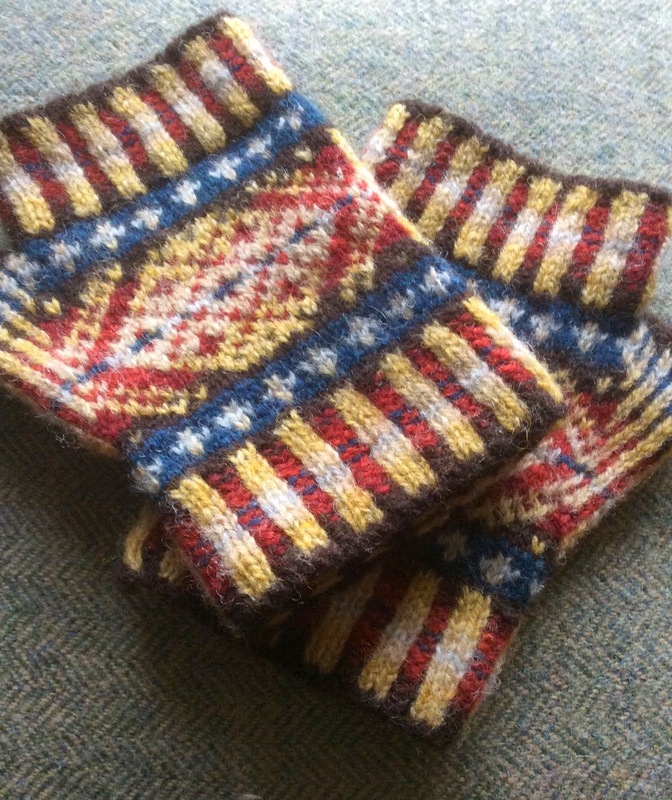 I finally finished a neck warmer that I'd hoped to get done before Christmas, the pattern is a traditional fair isle one, the colours are from the Jamieson and Smith's heritage range (100% Shetland wool, but worsted - I'm hazy about what that actually means, but the yarn is delightfully soft) but the inspiration was Kate Davies Sixareen design. I wouldn't wear something like that enough to give me the neccesary push to finish it, but I loved the way she put the colours together, and I do love a neck warmer. I plan to knit another one with a few more small changes and general refinements but I love the colourway more than ever. I also spent a lot of time charting pattern ideas. 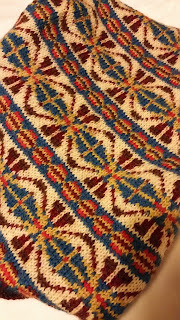 I bought a new rug which I like do much I feel inspired to turn it's design into a pattern for yet another neck warmer, and maybe a hot water bottle cover, and there were a few other things I've had at the back of my mind for a while. It's been relaxing, I could have stayed for a lot longer doing the same sort of things. But it's good to be home too, and time to get on, and catch up, with all the things that got pushed out of the way by the festive season. I'm officially ready for 2017.